There are many ways to Support HA! Many local businesses make donations to Heritage Academy. Please make sure you are supporting HA when you shop at Kroger and Office Depot. Details of both programs are listed below. If you or your business would like to make a contribution to Support HA, please contact Cheryl Maner, Director of Development. Log in to your Amazon account at smile.amazon.com. On your first visit to AmazonSmile, you will select a charitable organization to receive donations from eligible purchases before you begin shopping. AmazonSmile will remember your selection, and every eligible purchase you make at smile.amazon.com will result in a 0.5% donation to Heritage. We are listed as Columbus Educational Fdn In. Register your Kroger Plus Shopper's Card at www.kroger.com and link your card to Heritage Academy and Kroger will donate money to our school! All school earnings are tracked through the Kroger Plus Shopper's Card, and you must register your card at www.kroger.com and link your card to Heritage Academy. This process will take a few minutes on your computer to complete. Please follow the steps below and read all of the instructions at each step very carefully. Please contact Cheryl Maner if you have any questions or need more detailed instructions. You may email her at cmaner@heritagepatriots.com or call 662-327-5272 ext. 215. Step 1 - Log on to www.kroger.com and click on Sign In or Register. If you have to create an account, there are a few more steps including checking your email to verify your account before you can proceed to Step 2. Step 2 - Click Explore. Step 3 - Scroll down to Community Rewards. Step 4 - Select Heritage Academy or our organization # 80772 at Find Your Organization. Thank you for taking the time to enroll in this program. Enjoy all the benefits of your Kroger account such as loading digital coupons to your card, viewing your gas points, and creating shopping lists online! Quick Tip : If your Alternate ID (your phone #) will not work in setting up an account, call Kroger at 1-800-576-4377 and press 3. A representative will give you your 12 digit Kroger Plus Shopper's card number. Thanks to the support of our students, parents, staff, and patrons, HA raised $556.20 from Box Tops last semester. 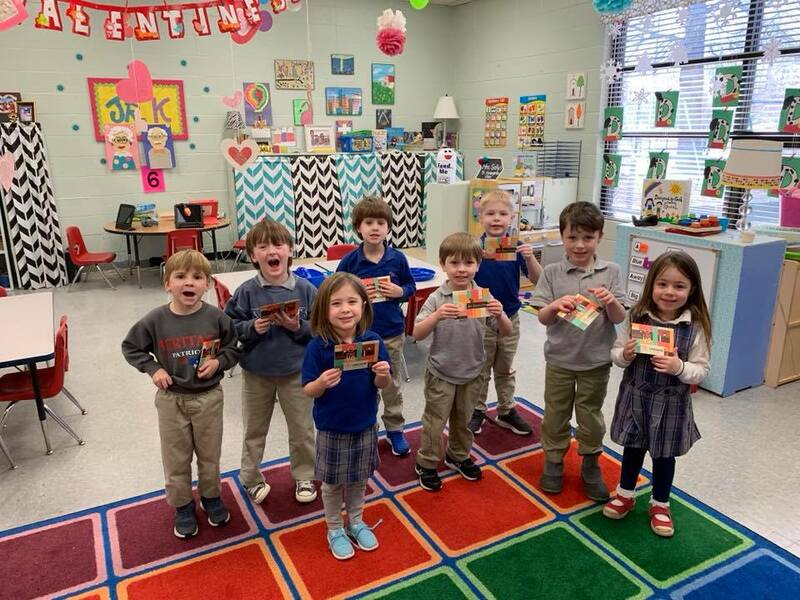 Congratulations to Ms. Wheeler’s 3rd grade class and Ms. Edwards’ Jr. K class, who brought in the most box tops, and special thanks to Smackers Froyo & Treats, who generously donated gift cards to those classes!!! 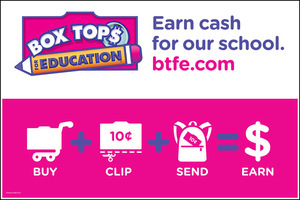 All students should continue to clip and save Box Tops! Submit Box Tops in ziploc bags or secured to collection sheets. Please make sure that all bags and sheets are labeled with the student's name and teacher's name. 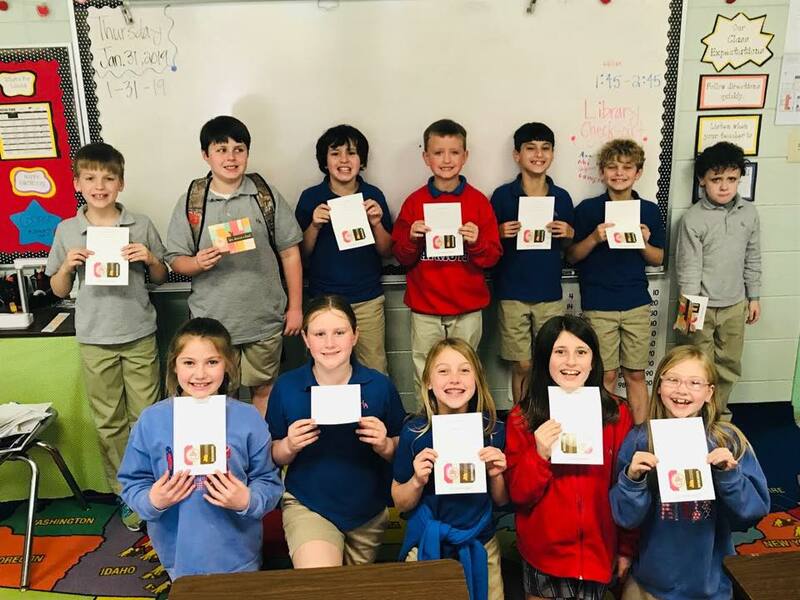 (Please do not tape Bonus Box Top Certificates to collection sheets) High school students can turn box tops into the office and give their favorite elementary teacher credit! Follow our school's progress at www.btfe.com! Present Heritage's 5% Back to School ID number - 70058511 - when you purchase school supplies at your local Office Depot or online. Office Depot will send Heritage Academy an Office Depot Merchandise Card that is credited with 5% of our patrons qualifying purchases. This means FREE office supplies for our school! This program is valid all year. Please Support HA in this way when making purchases at Office Depot.